I'm always on the hunt for a good shampoo and conditioner. For those of you who don't already know, I really love Herbal Essences shampoo, because they always smell amazing. 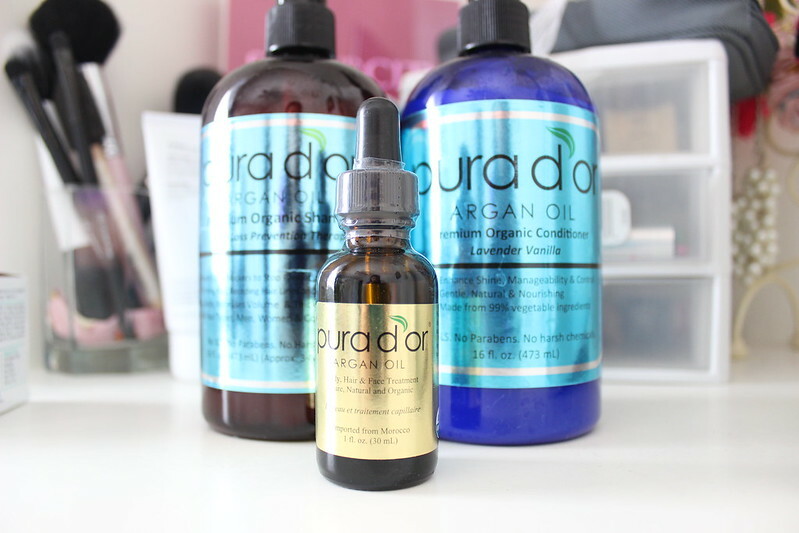 But I decided to switch it up, and try out Pura D'or's shampoo and conditioner. I have to admit that when I smelled the shampoo it didn't smell appealing to me at all. So I decided to put some essential oils into it, to make it smell a little better. The conditioner smells good though, because it's lavender vanilla scented. 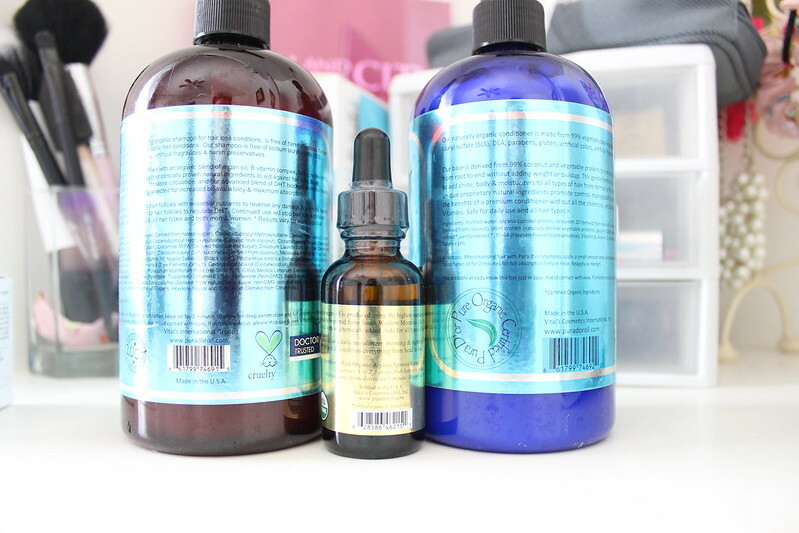 For those of you wondering how I use argan oil, after I wash my hair, I usually wait until my hair is 75% dry and I put a couple of drops on my hands (no more than 6) and I run my fingers through my hair. I've noticed that my hair is smoother, other than that, I'm not sure about the hair loss prevention. My hair is pretty thick as it is. For those of you who are wondering, I have been air drying my hair for the last couple of weeks, because it's gotten hot here in California. And my hair is naturally wavy, so I look like I have beach hair pretty much every day now. Haha. 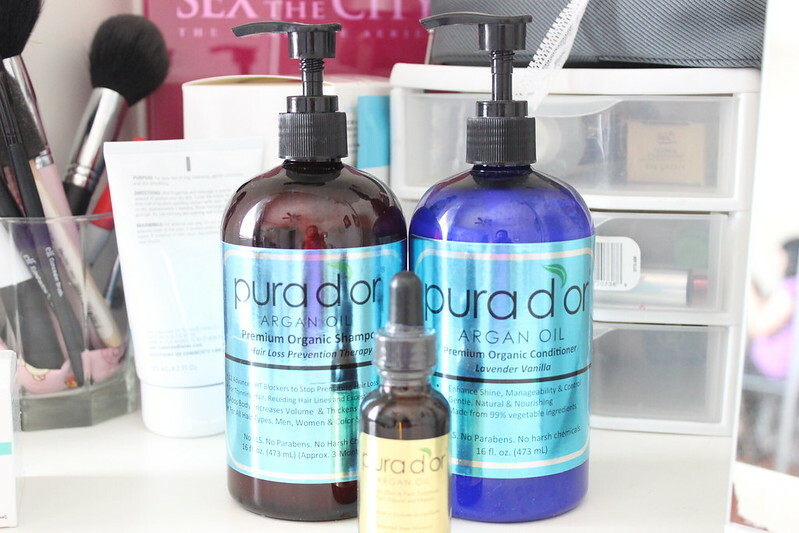 What do you think about this shampoo & conditioner? By the way for first time customers you can get 20% off with the coupon code: START20!